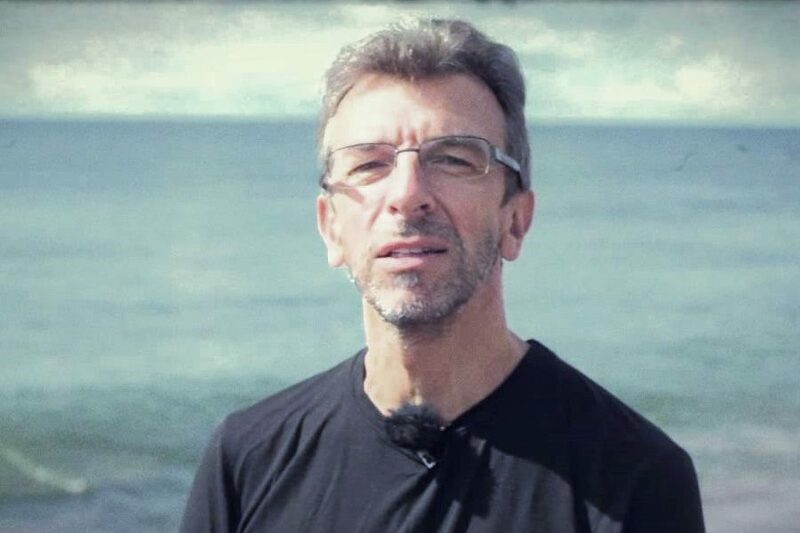 One of the most significant composers of his generation, Erkki-Sven Tüür makes music that proceeds from particular to universal. 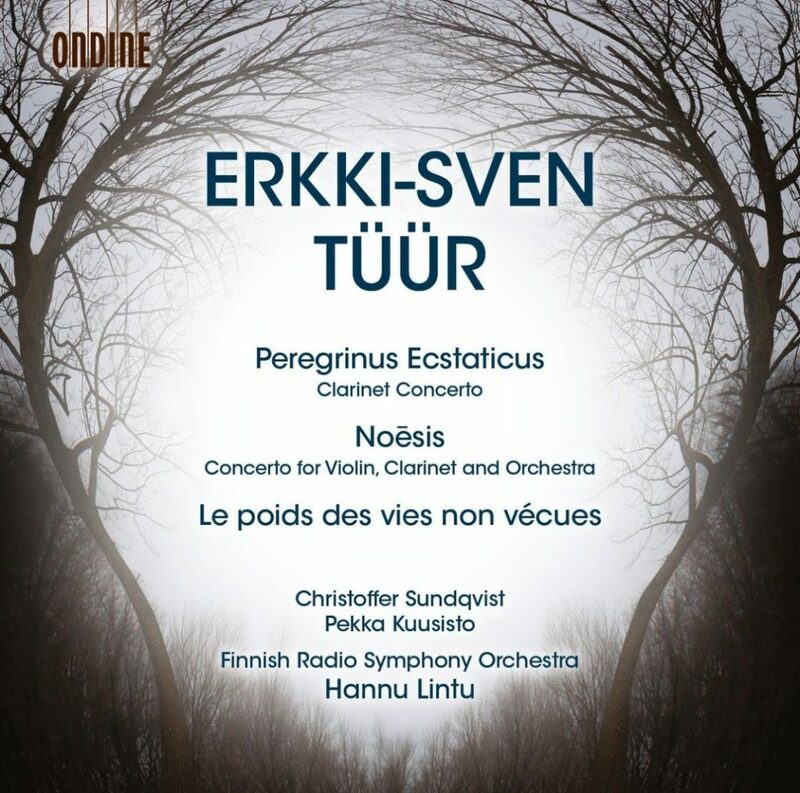 This new Ondine disc continues a series of recordings of the works of Erkki-Sven Tüür (b. 1959), rewarded and praised Estonian composer (studied composition under Jan Rääts) whose works have been performed by major international orchestras and prominent musicians from all over Europe, North America and Australia. Besides symphonies (Tüür’s favourite compositional medium to compose for is the symphony orchestra) Tüür has written commissioned concertos (by various well-known orchestras). This disc includes two concertos: the Clarinet Concerto Peregrinus Ecstaticus was written to a commission by the Finnish Radio Symphony Orchestra and premiered together with the soloist Christoffer Sundqvist and conductor Hannu Lintu in 2013. The Double Concerto for Clarinet and Violin, named Noēsis, was premiered in 2005 by Isabelle van Keulen, Michael Collins and the Detroit Symphony Orchestra under Neeme Järvi. On this disc the soloists are clarinetist Christoffer Sundqvist and star-violinist Pekka Kuusisto. As a bonus comes Le poids des vies non vécues, an orchestral work, stylically different from the two concertos. It is a small requiem written in 2014 to a commission by Orchestre National de Belgique. When one settles to listen to the concertos, and the clarinet concerto especially, be prepared for ”meta styles”, ”musical vectors”, ”codes”, ”musical conditions”, ”energy conversions”, ”irregular timbral changes”, ”lack of regular metre” and so and so forth. Tüür’s music does not represent traditional Western motivic-thematic orchestral music. It’s highly abstract. The music springs from a single idea, and is subjected to different – opposing – organisational treatment, alternating short and quick, dense and less dense sound textures, macro and micro-intervals. Meditation and reflection. The leaflet tells us that the composer would be delighted if ”the piece inspired listeners to create their own “stories”, hoping that the music touches the creative core of the audience.” It does. Despite the somewhat conceptual aftertaste, and periodical massive sonic outbursts that put the hi-fi system under pressure, both in terms of the treble and bass, Tüür’s music makes handsome and ennobling listening. The Double Concerto is less ”intellectual”, and as such somewhat easier for ears to digest, but for the same reason also a little less stimulating perhaps. The work follows a classical three-movement structure: the first dramatic movement is followed by a slow movement leading to a fast last movement, all played in attacca. The two soloists, at first approaching the same destination from opposing directions, gradually begin to interact, moving closer to each other and ultimately finding unity and understanding (noēsis) in the finale. A prominent work nevertheless.